Previous to joining Ion, Stephen trained to be a surveyor and headed the office agency department of Sykes Waterhouse. 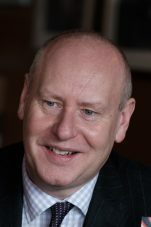 In 1990 Stephen joined as the Development Director and became Managing Director in March 2004. Rob was firstly employed as a Civil Engineer by an Engineering Consultancy but returned to university to study a Masters Degree in Civic Design. Rob had significant experience working on regeneration projects before joining the team in 2004. 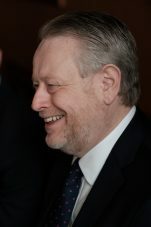 Andrew is a Chartered Accountant who has been involved in Liverpool business for over 40 years. 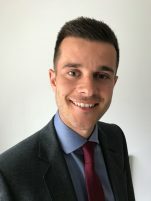 He joined Ion in August 2015 having spent the previous 15 years as Group FD for a large Property Investment Company, and before that working in the Insurance Industry and as a partner in a Chartered Accountancy practice. 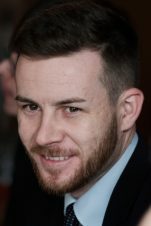 Jason graduated from the Built Environment Faculty of the Liverpool John Moores University in 2012 obtaining a BSc Honours Degree in Quantity Surveying. From there he completed two years post graduate work experience with a residential UK developer before joining the team in April 2014. Chris is a Chartered Surveyor who has worked in the construction industry since 2007. He previously worked for AECOM (formerly Davis Langdon) as an Employer’s Agent and Quantity Surveyor. Chris has worked on a wide range of projects but mainly in the commercial and industrial sectors. He joined the ION team as an Associate Director – Projects in July 2017. 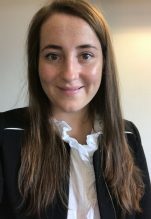 Prior to embarking on a career in property, Jenny completed her undergraduate degree in History & Politics at the University of Liverpool in 2013. She is currently studying towards her Masters in Real Estate at Liverpool John Moores University. Jenny is our newest recruit, joining in September 2017. Amanda has worked in a multitude of different office environments, from private to corporate and gained a wealth of knowledge along the way. Amanda joined the team in September 2016 as the Office Manager. Mark is a trainee accountant who joined the team in January 2016. He was educated at St Margaret’s and later went on to study accountancy at the City of Liverpool College. Mark is now into the final six months of his AAT qualifications at Kaplan Financial and is looking to start his chartered qualifications in September. Katie is a PR professional who has spent time as a journalist with Trinity Mirror. She managed the launch of Hope Street Hotel in Liverpool and more recently has worked with other hotel clients, tourist boards and property groups.